The great danish army was split up in 2 parts. Halfdan took his army and went to Northumbria where he was recognized as a king. 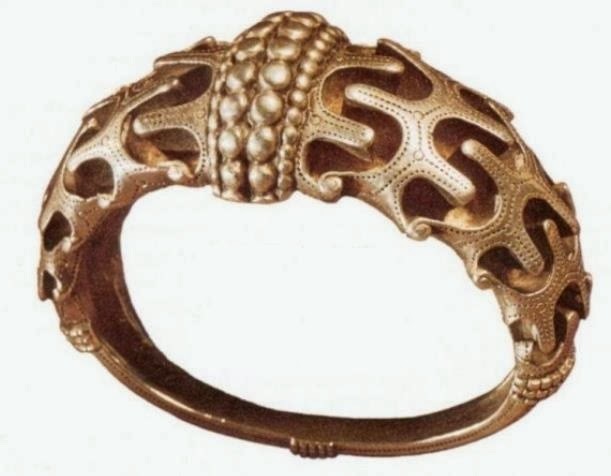 In the Scottish borderlands Halfdan had to fight against 2 tribes the Picts and the Gaels. The second part of the viking army was under command of Gudrum, Oscytel and Anwynd and that army went southeast and made a winter camp in Cambridge. 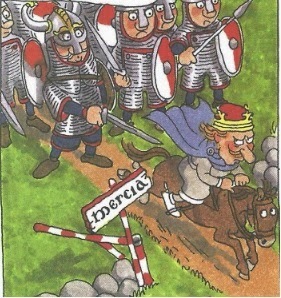 Danish vikings in Mercia forced the king Burgred to resign and installed Ceodwulf, whom they later sacked and took complete control of the Angles area. 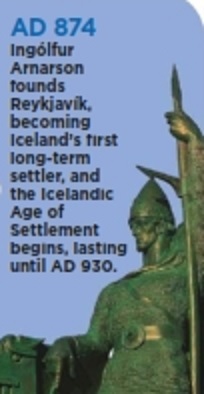 Norwegian vikings had started to immigrate to Iceland. And Ingolfur Arnarson founded Reyjkavik. Amlaíb Conung, King of Dublin, was killed in Scotland on a campaign against Causantín mac Cináeda.